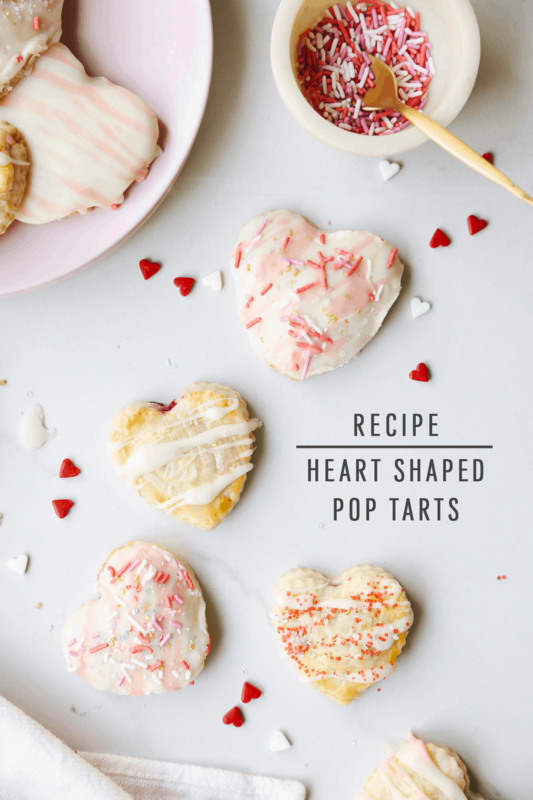 Suffice it to say, this raspberry heart shaped pop tarts recipe really makes my heart skip a beat! 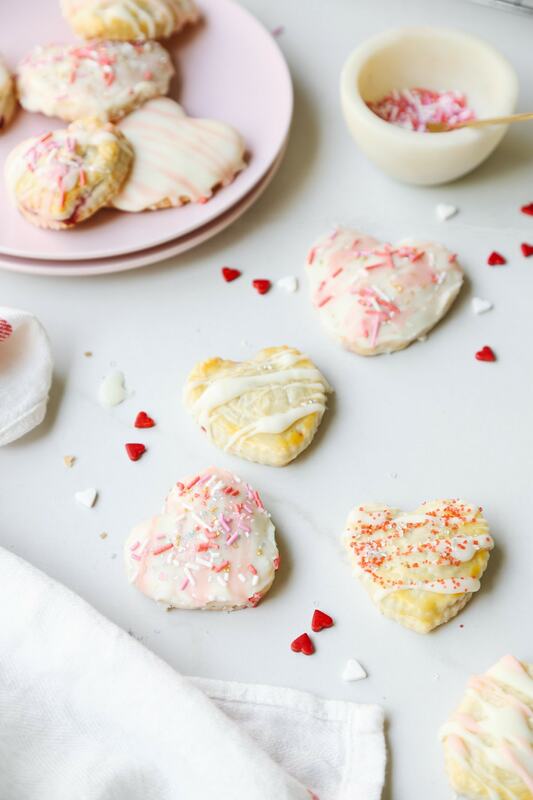 The cute shape certainly doesn’t hurt, but the simple raspberry filling is pretty mouth-watering, too. 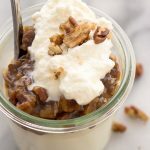 (Side note: You can use any leftovers as a delicious topping on toast, yogurt or ice cream.). 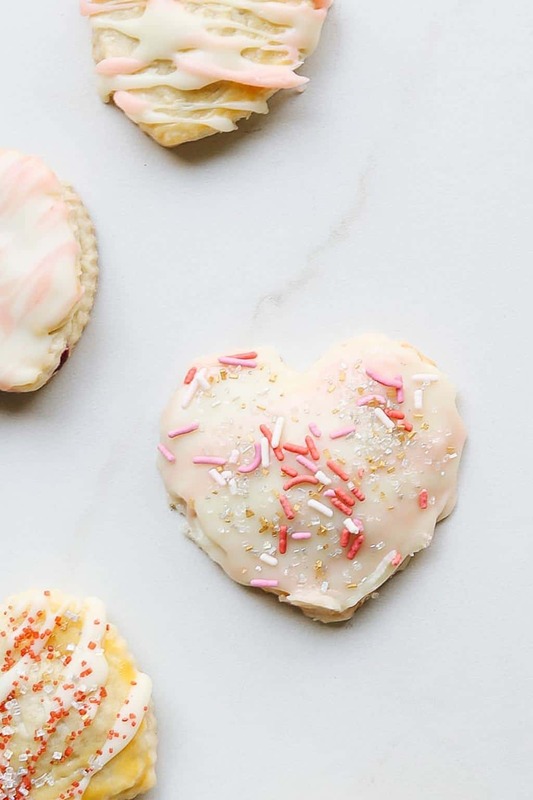 The most time-consuming part of making these pop-tarts is really just decorating them. 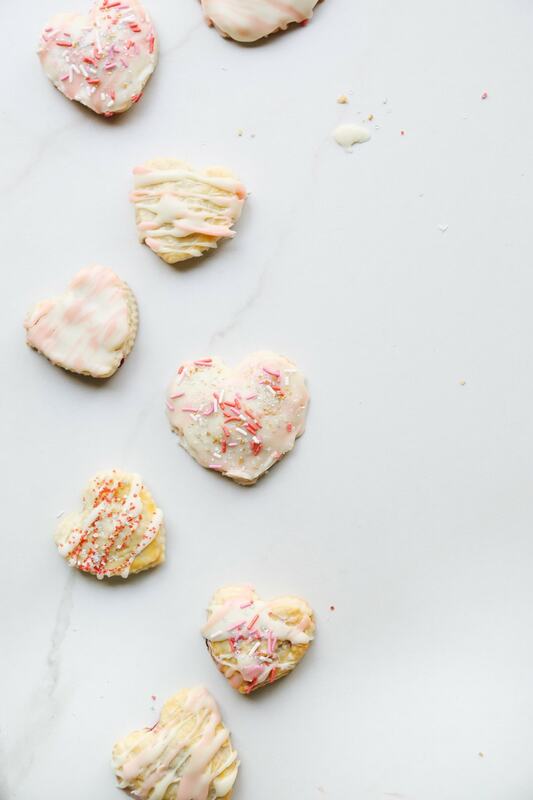 But, when sprinkles and pink hearts are involved, who can really be mad about that? 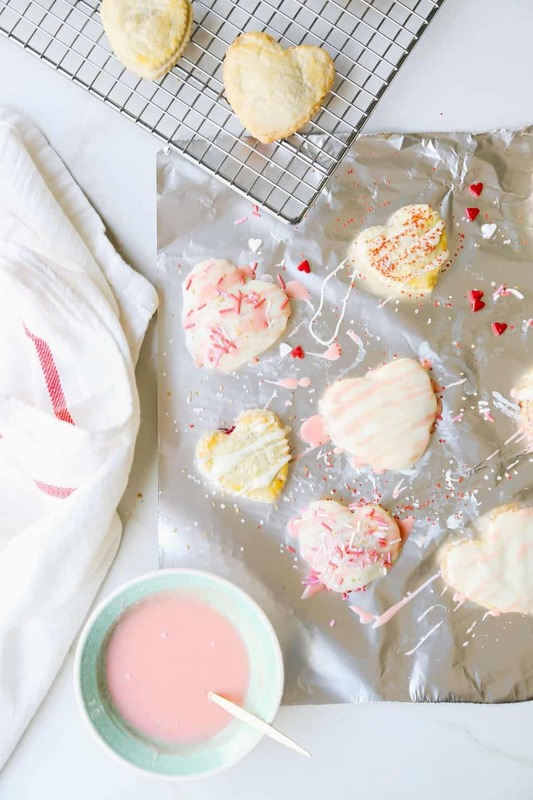 If you plan to serve these at a Valentine’s Day party, you can even save the decorating as a fun activity for your guest to get involved in. In a saucepan set on a high-heat burner, combine the raspberries, sugar and lemon juice. 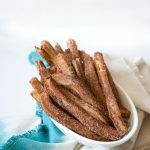 Bring to a boil, then reduce the heat to medium, mix in the cornstarch and continue cooking for about 10 more minutes, stirring occasionally. Remove from the heat and allow to cool. 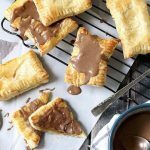 To make the pop-tarts, first preheat oven to 400 degrees. Line a baking sheet with parchment paper or a silpat mat and set aside. Lay the pie dough out on a lightly floured surface. 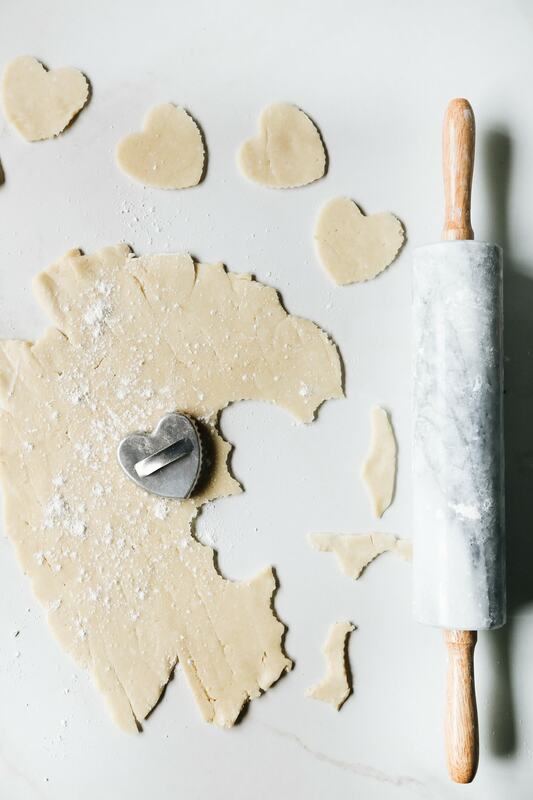 Use a heart shaped cookie cutter to cut out pieces, using up all of the pie dough (You can re-roll pie dough scraps together to get even more pieces.). 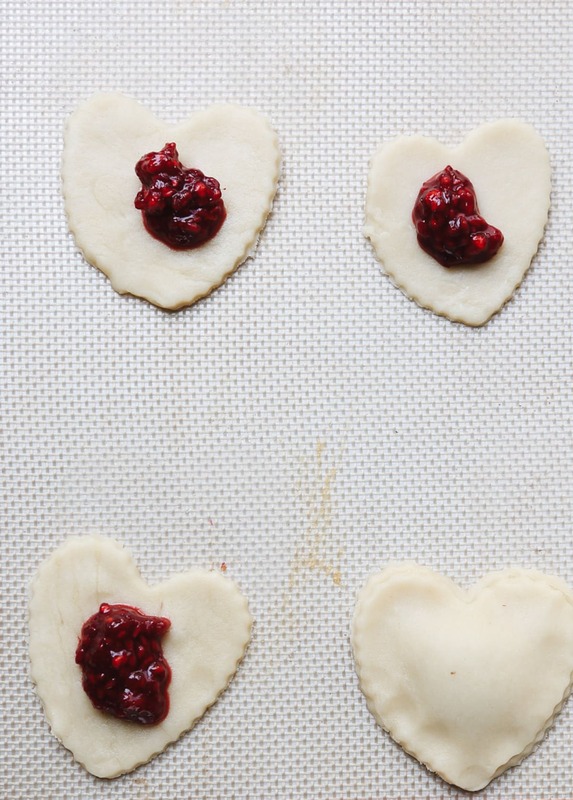 Place 8 hearts, evenly spaced, on the lined baking sheet. 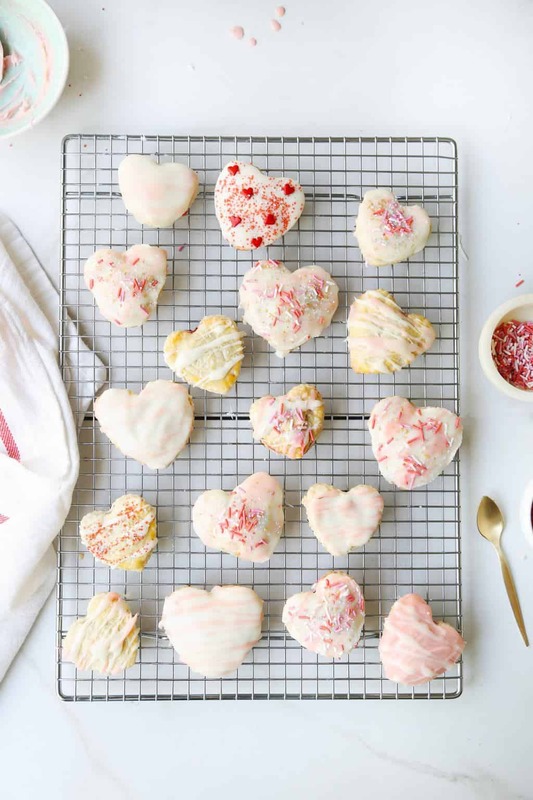 Spoon ½-1 teaspoon (depending on the size of the hearts) of raspberry filling in the center of each heart. 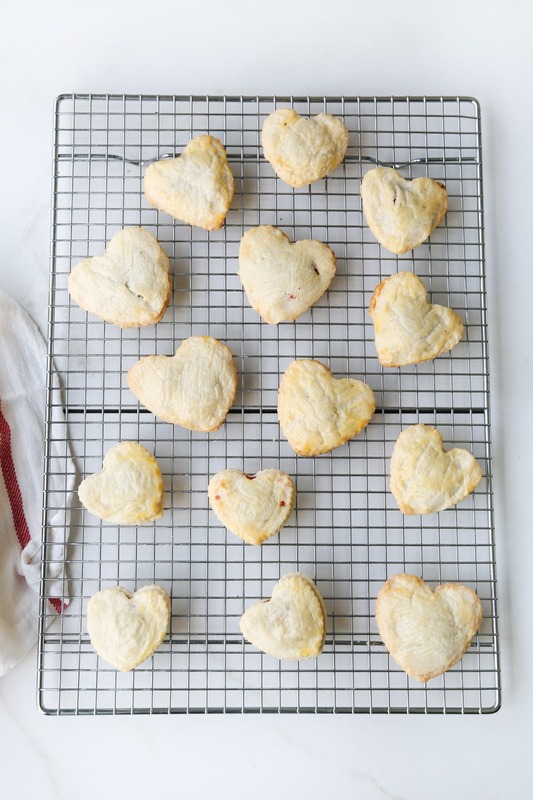 Place a second heart on top, then gently press along the edges to seal the filling in. Brush with the whisked egg. Bake for 11-13 minutes, or until golden brown. Remove to a baking rack and allow to cool. In a pan set over medium-low heat, add the white chocolate and milk or cream and stir just until the chips start to melt. Immediately remove the pan from the heat and continue stirring until all the chocolate has melted. For a thicker glaze (which is better for spreading), I find 1 ⅓ cup of chocolate chips with 3 tablespoons of milk/cream is best. For a thinner glaze (which is better for drizzling), keep the milk/cream the same (3 tablespoons), but do only 1 cup of chocolate chips instead. For a colored glaze, simply mix a few drops of food coloring into the melted chocolate. If the glaze starts to harden up, simply place the pan back on the heat for a few seconds, making sure to stir constantly. 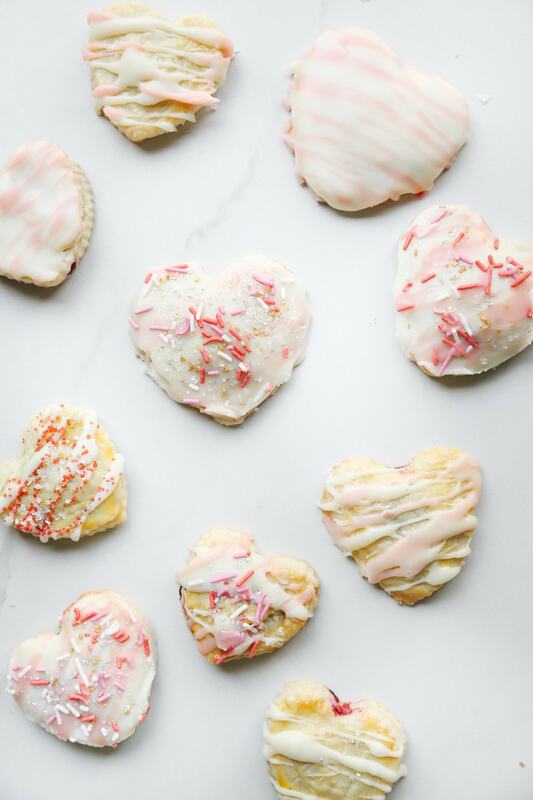 To decorate the hearts, simply glaze, sprinkle and frost the pop-tarts however your heart desires. Allow the glaze to harden and set, then feel free to eat your heart out (Couldn’t resist yet another pun!)! What’s your favorite pop-tart filling? 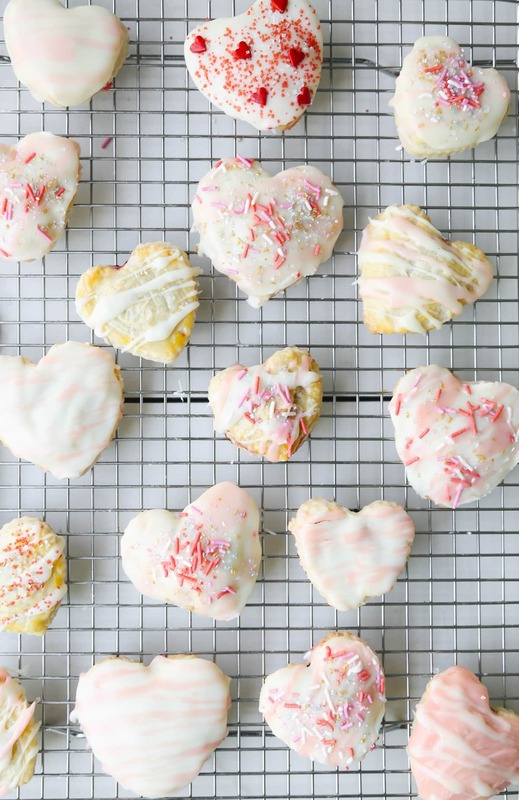 These would be just as yummy (and just as cute) with a strawberry or cherry filling, too. 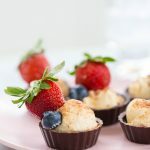 adorable and YUM! question: do these need to be refrigerated if they are not going to be eaten same-day? thanks!